This is Gem. She may have lost her eyes but not her spirit -- and her determination is helping people see aging and injured animals in a whole new light. Gem didn't always look like this. 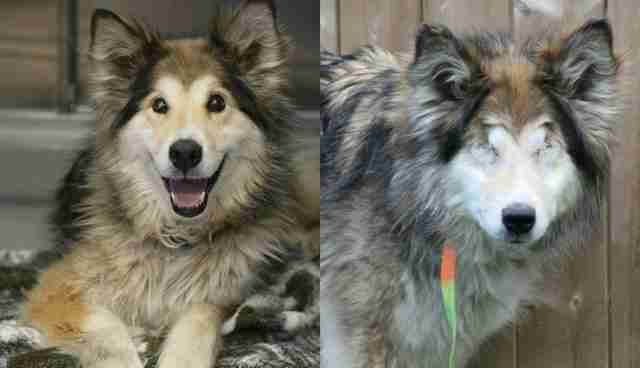 When shelter workers in Alberta, Canada responded to a call about a homeless dog, they found an eight-year-old collie husky mix with diseased eyes and a big heart. 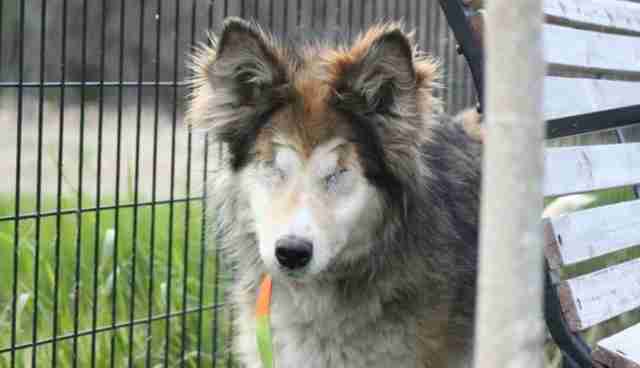 "We immediately found that she was fully blind," Animal Care Manager Amy Corpe wrote on the Red Deer SPCA's Facebook page. 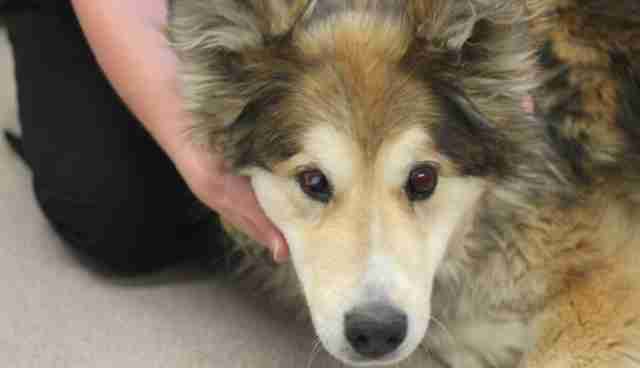 "She was in severe pain due to the condition of her eyes." It is believed the eye deterioration started long ago with some kind of trauma. Despite her pain, Gem was friendly, and greeted Corpe, a total stranger, with tail wags, kisses and trust. 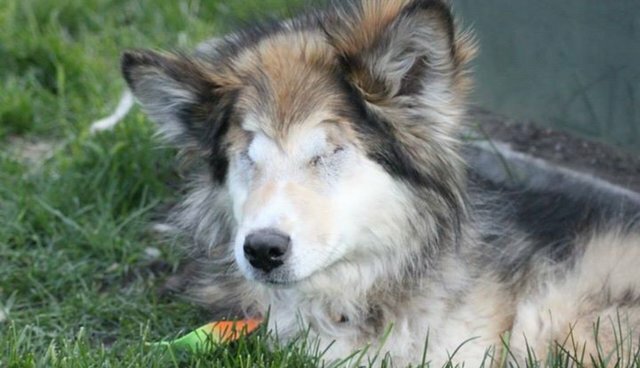 Staff at this maximum adoption facility faced two choices: Euthanize this trusting dog, or remove her painful and deteriorating eyes. 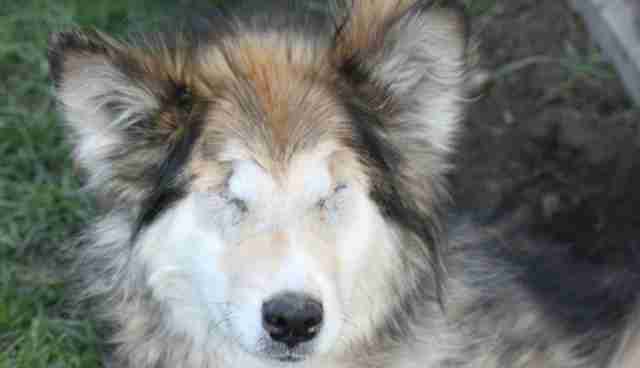 Gem was a loving animal who had already adapted to a life without vision. They knew she could make it. "We weren't taking anything away from her, other than the pain," Corpe told the shelter's Facebook friends. As Gem's Facebook fame spread, her story piqued the interest of newspaper reporters, a local TV crew and plenty of potential adopters. Canadian rocker and animal lover Bif Naked shared the post with her 66,000 Facebook friends. Shelter foot traffic increased as the web traffic did, and other animals benefited from Gem's social media stardom. "Since Gem is a special needs dog, she wasn't an appropriate match for some people, but other animals were a good match for them," says Corpe. "Other animals are being adopted because of the attention that we received from Gem's story." While Gem was busy helping other animals get adopted, Corpe was busy finding the right guardians for Gem, who now lives in a loving home. 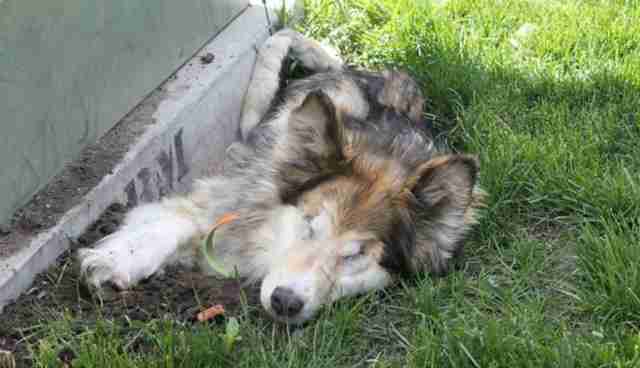 Her story has a happy ending that not all animals get. Most senior animals -- especially those who look different or have special needs -- stay in the shelter for a very long time. Gem's popularity is helping to change that, as more people see the potential and personality inside older or previously injured companion animals. This is great news for some of the animals who've spent more than a year waiting at the shelter. Gem's social media shares may have had also influenced a number of donations for this year's Bark at the Bend in support of the Red Deer SPCA. The shelter is still working toward its fundraising goal so that it can keep providing the veterinary care animals like Gem need to find their way out of the darkness.